Made Up Rules was a fit playing baseball or as a matter of fact or speculation on this issue of who started or made up rules or who made the first rules for the game is just so much speculation and guess work, so go figure, and you might even say so much malarkey and horse feathers on any official sanctions for our game. Just like it might have taken someone as smart as Einstein to tell us the truth of which came first the "chicken or the egg". Must have been a tie because there has never been a declared winner. Surely we must have been as smart as a fifth grader to make all these baseball playground rules which are hopefully still being played by youngsters all over the world. Not withstanding that so much of our game of baseball, this country grew to love with a passion, had its rules generated and passed down thru the years in large simply by word of mouth. The game of baseball as we know it today has a set of official rules sanctioned by the rules committees of various baseball organizations. Growing up from a tow head cotton top in rural Alabama found this lad learning and living by playground rules. The ball playing rules which we played by was usually the call of that tall and strong sixth grader. His interpretation of a rule was seldom challenged. Playing baseball with no adults to help kids with the rules of the game? Later in life on the various sandlots of baseball around the various communities one soon found out when in hostile territory to let the home players decide on controversial plays. I'll tell you one thing the age old nursery rhyme of "Humpty Dumpty Sat On A Wall" then when he fell all the kings men and bring in the horses could not put him back together again. Folks that little ditty was well before "duck tape". Seriously the issue of who and when is really a part of the chicken and the egg and humpty dumpty question, it just happened. Growing up, playing by baseball playground rules or the made up rules may not have been the official baseball game rules universally used but they would certainly do. To be totally honest as a youngster I never saw an official baseball rules book and I know of no one who I have ever known reading one. A large part of our rules for the game out there on the playground involved what is known as the ball field playing area "ground rules." Ground rules are adopted and used for the field or diamond upon whatever ball field the game is being played. The playing ground rules may be totally different one field to the next field. Ground rules apply due to the physical nature of the area and many of these were nothing more than our baseball made up rules. For instance if the only ball available is lost in the honeysuckle thicket and we cannot find it and darkness catches up to us the rule applied is "The game is called and we look for the ball again tomorrow." Some how we managed to get a game underway, sometimes we finished the game, and then sometimes it ended in a good argument or fight over some of our baseball rules, we previously had used but changed spur of the moment, therefore some more of baseball made up rules. Would you believe we even had rules like so many foul hit balls would equal a strike. Some of the bigger boys were so good at hitting, and would not want to give up their turn at bat, they would foul hit the ball pitch after pitch. Bigger boys were in control and they would take advantage of the smaller inept players and simply toy with us and stay at bat. This old thing about getting a runner out by throwing and hitting him with the ball between bases? Where we learned that baeball made up rule is beyond me? Never do I recall someone sitting us down and saying, "Now the way you get a runner out is to throw the ball at him and hit him with the ball." You see somewhere way back there in history the hitting the runner with the ball got started. Here is another of those just got started rules. Baseball made up game rules for use with only two players playing in the front yard and a runner is on base. The defender or player in the field would toss the ball in the air. His throw would be higher and higher. At some point the runner would take off like a blue streak. Ironically, the odds were good the defender would get excited and miss handle his catch and the runner would outrun the defenders throw. The throw and the toss in the air was nothing more than another wrinkle or version of the hit the runner with the ball. You tell me where these kind of rules are written down and passed along from a baseball made up rules book. My ball playing buddies, when I was growing up, never really knew there was a book with all the rules. This learning the game and playing by baseball made up rules, although you might say unofficial baseball rules, served us well. You can readily see our made up rules were really the only baseball game rules, for us, which really counted. Made Up Baseball Rules was not considered trivia when we used them in our playing by baseball playground rules IT WAS THE RULES." Baseball rules or made up rules of baseball were important and believe me within the general rules of baseball we had it right out there on the playground of America. Like I said in my introduction most of the rules we played, by or against, were made "By some dude." When watching the bigger youngsters play and waiting our turn we absorbed the rules by observation. Right wrong or indifferent somehow we began to play by the made up baseball rules which counted the most. Nothing could be more elementary than three strikes and you are out. Must tag up on a fly ball being caught. A runner must be tagged with the ball not the glove only. Running out of the baseline to avoid a tag caused more fights than being called a sissy. We learned the made up rules of baseball and the bigger boys made sure the rules were applied their way. If you think an umpire has control of a game you have not seen control like a sixth grader who stands a head taller than his classmates. Making general made up rules of baseball or any of our baseball game rules did not wait for the official sanctions of the little league baseball rule book for us to play the game. We loved the game and from the heat of the day in the sun till the dark of night and mama calling us we played our game. Rules written or unwritten we loved to play the game so we learned the game by our made up rules these made up rules as our game rules. We passed them along both altered and unaltered. This is part of the game we loved and still cherish. You know something our made up rules for playing baseball were never formalized as herein portrayed, but as you can see it got the job done, so I will leave this page open ended and add more specific data later for our real and official baseball rules. 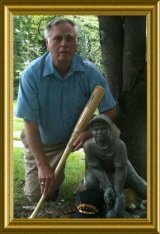 Major Wiley B. Channell USMC (retired) playing by the rules at baseballfarming until trouble starts. When trouble breaks out we break in with the real believeable baseball made up rules which we adopt as our official baseball playing rules. Return to the Top of the Page Made Up Rules. 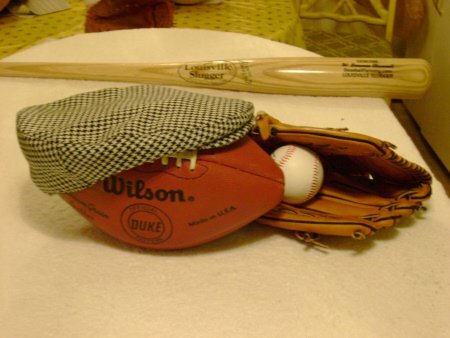 Maybe you would like to go back to the start return to BaseballFarming your home page which is an introduction to the concept of baseball farming and includes ideas on strategies, training, and winning. Go Shopping You Will Be Rewarded Handsomely.